Move-in-ready! 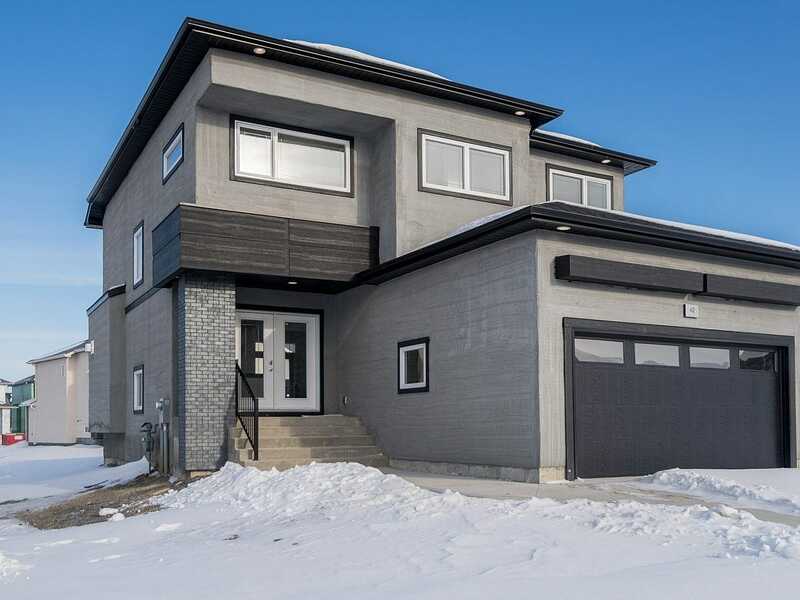 Bonavista and A&S Homes welcomes The Lethbridge, a stunning contemporary designed two-storey brand-new custom home, complete with all the specs you are looking for! Featuring a double attached garage, three bedrooms, 2.5 bathrooms, second floor laundry and beautiful towering high ceilings on the main level. Enter the home through double glass entry doors to an open concept design, large kitchen, flat panel cabinetry and quartz countertops with undermount sinks throughout! Finished with laminate floors and a custom gas fireplace centre in the great room, complemented by 18′ high ceilings with over-sized windows and LED pot lighting. Built with today’s leading specs, including pile foundation, MS-Delta Waterproof wrap, engineered floor joists, raised basement with high ceilings and much more. This home won’t last long, book your showing today! Square Footage: 1,570 sq. ft.
Visit The Lethbridge Quick Possession!